Say what you will about Johnny Depp’s privileges as one of the biggest movie stars in the world, the guy doesn’t take them for granted. Though he’s made blockbusters, he’s made them on his own terms because he doesn’t seem to know how else to operate. He even approached The Pirates of the Caribbean franchise–a movie series based on an amusement park ride–as another means of exploring his capacity for weirdness, which, considering the performances he gave in Ed Wood, Fear and Loathing in Las Vegas, and others, rightly should have been exhausted years ago. He can credibly be called a matinee idol, and yet the only conventional romantic role he’s ever had was in Chocolat. Which makes The Tourist all the more perplexing. It’s not a good movie and, considering the various detours the project took on its road to realization, one that wouldn’t seem to appeal to Depp. He ostensibly plays an American tourist who gets caught up in some pan-European intrigue, not to mention romantic entanglement with Angelina Jolie, while traveling from Paris to Venice; except that Depp, with his long hair, goatee, and quirky fashion sense, doesn’t look anything like an American tourist (Depp: “When I think of tourists I always think of Americans in Bermuda shorts arriving in Paris and demanding Coca Cola and french fries”), much less a math teacher from Wisconsin, which is what he’s supposed to be. In the end, this seeming disconnect is actually exploited in the film’s dodgy plotting, but by the time it’s clarified most people won’t care. 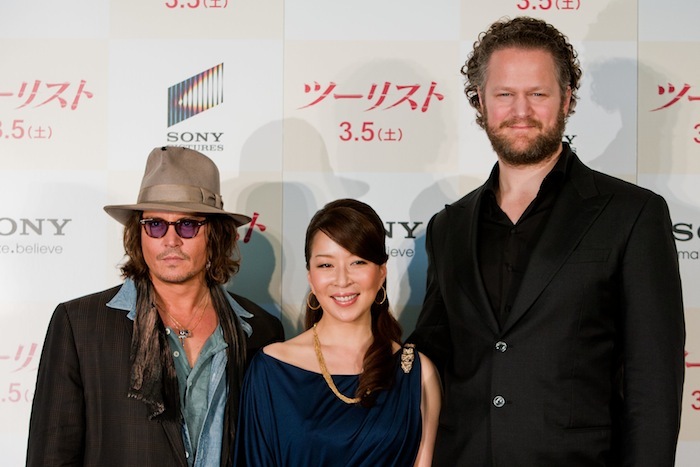 In fact, Depp was actually odder as himself when he and the movie’s director, Florian Henckel von Donnersmarck, sat for a press conference last week at the Academy Hills in Roppongi, but that just may have been a matter of contrast. It was his eighth trip to Japan, and usually the roles he’s promoting are stranger than he is, but he’s a queer bird to begin with: the hats, the gold tooth, the mumbled non sequiturs. But he’s without exception the most gracious A-list movie star there is, which he would have to be to put up with the kind of inanity you get from the Japanese show biz press. He knew some of the questioners’ first names, and followed every answer with a “thank you.” Maybe he just thinks they’re as weird as he is. What, exactly, Depp finds strange about Von Donnersmarck’s cinema isn’t clear. The Tourist, a traditional Hollywood star vehicle, is as strange as margarine, and Von Donnersmarck’s only previous full-length film, The Lives of Others, which won an Oscar as Best Foreign Language Film, was a serious and highly accomplished dramatic work but in no way unusual. Nevertheless, Von Donnersmarck seemed happy to get caught up in Depp’s world of make believe. 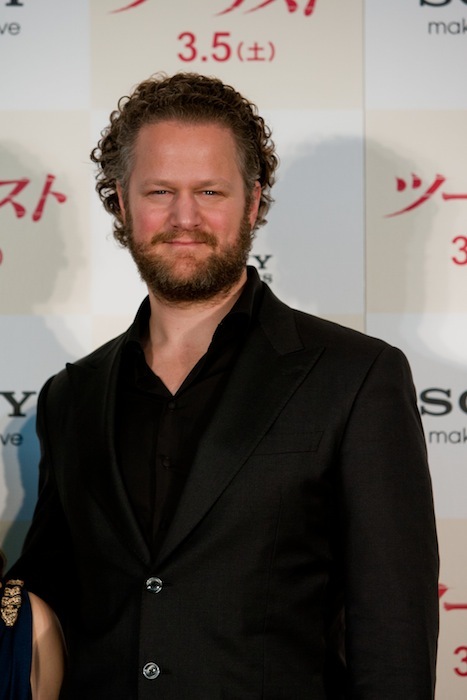 A very tall man with an imposing beard, the director still doesn’t know quite how to present himself as a representative of Big Money filmmaking. Most professionals in his situation, meaning someone who goes from a modestly made but ambitiously considered work to a major production of frivolous intent, would savor the irony and enjoy the ride, but throughout the press conference Von Donnersmarck was determined to erase any stylistic or thematic distinctions between his only two features. “It shows me how open people are to art when they can appreciate that in Johnny’s performance,” he said at one point, talking about how Depp’s stab at “normal” was actually anything but. “Sometimes people go into a film that is an entertainment and don’t expect that level of precise art and performance, and it will completely go over their heads and they’ll say, ‘It wasn’t the usual flamboyant character.’ But if you look carefully at it, if you enter it with the spirit of wanting to discover art, you’ll see that there is all that subtlety in there. And even though it is a very different kind of film than The Lives of Others, for me it was every bit as magical. It just happens within a different framework. That’s why I’m Johnny’s greatest fan. In places where you expect ‘show,’ suddenly you have this very, very subtle art.” In other words, if you thought The Tourist was a shallow piece of star-loaded product, it’s because you weren’t sensitive enough to grok its true value. This entry was posted in Media, Movies and tagged Angelina Jolie, Florian Henckel von Donnersmarck, Johnny Depp, Miki Maya, The Tourist. Bookmark the permalink.